Since SharePoint 2010, Co-Authoring has been available for various Office products when the documents are stored either on your own SharePoint or on Office365. What is Co-Authoring? It’s the ability for multiple people to work on the same document at the same time. As I mentioned in “What People want from SharePoint 2013”, many are confused as to how it works and what you can do exactly. This article will look at the different interactions available both On-Premises and Online with Office 365. So if you are planning on upgrading to SharePoint 2013 or Office 365 this will help you understand how it works. Versions that are denoted by “*” support co-authoring functionality, even when Office Web Apps isn't configured or enabled in SharePoint. 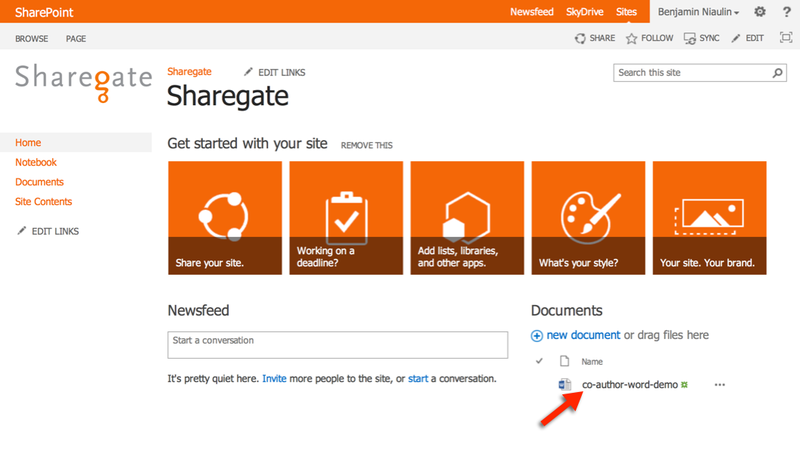 The co-authoring functionality is available to Office 2013 users who have SkyDrive accounts, whether or not SharePoint 2013, SharePoint Online or SharePoint 2010 are installed. This article only covers use of co-authoring in SharePoint. What’s interesting is that the Microsoft Office client installed on your computer is the one making Co-Authoring available. 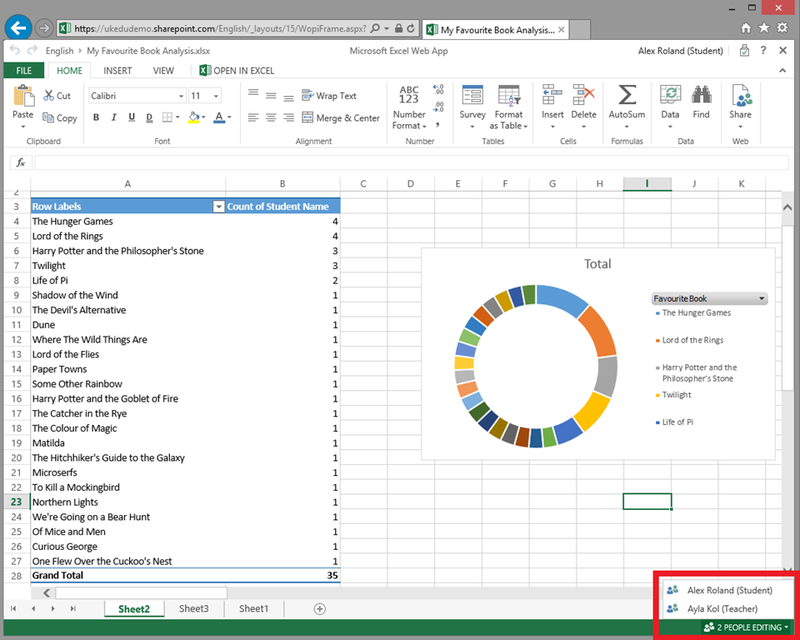 Though Office Web Apps also has a part to play in it, especially with Excel. Office 2013 is required though some will also work with Office 2010. I separate them into these four because they each have different features available or not available for some. A few years ago, Microsoft introduced a new Office File Format by adding an “x” at the end of the file extension. Of course, it’s not just a file extension change but also a completely redesigned format and is required for Co-Authoring of documents. 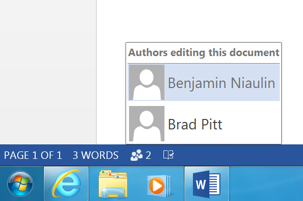 Unfortunately, though Office 2007 supports this file format it cannot be used to Co-Author documents. The Excel client does not allow Co-Authoring of documents; Office Web Apps is required for it to work. However Excel does come with a native feature that closely resembles Co-Authoring already. OneNote Co-Authoring does not support having minor versions enabled in the Document Library where the Notebook is stored. Ok maybe it is supported but is strongly recommended by Microsoft to leave it off as OneNote has its own feature that conflict with the minor versioning available in SharePoint. I’ll start with Word and PowerPoint, probably the easiest way to test at first. 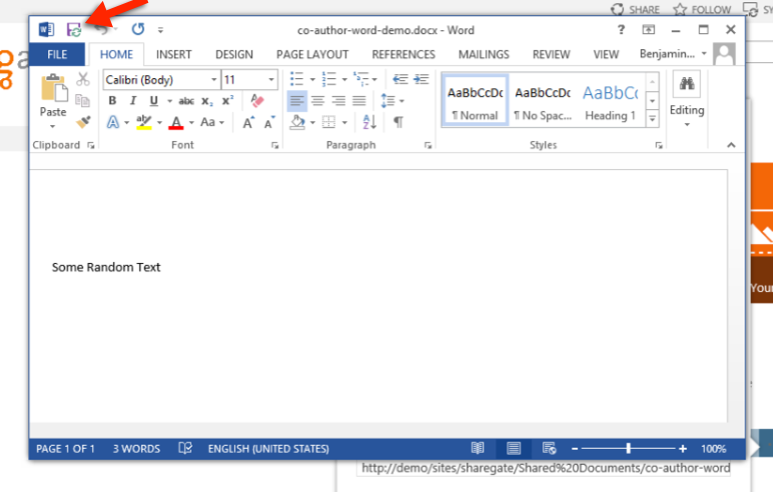 First, I’ll upload an almost blank word document in a SharePoint 2013 Team Site I created. 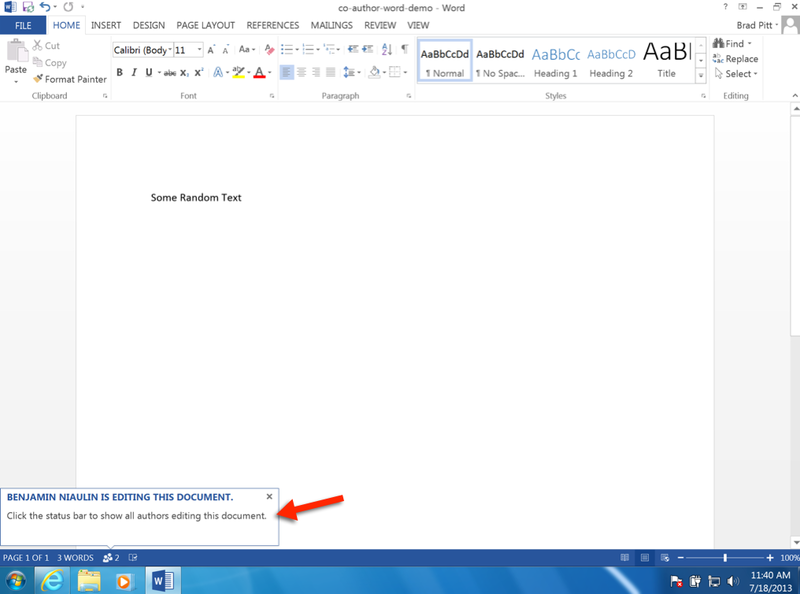 Let’s open this document in Word 2013 and leave it open. As you can see, there is barely any content and the document is saved in SharePoint. Now let me open the same document from another computer running Office 2013 as well. Now if you click on the icon showing how many editors are on this document, you will get an information card allowing you to see and interact with these other editors. This is great for those on Office 365 or On-Premises with Lync installed. 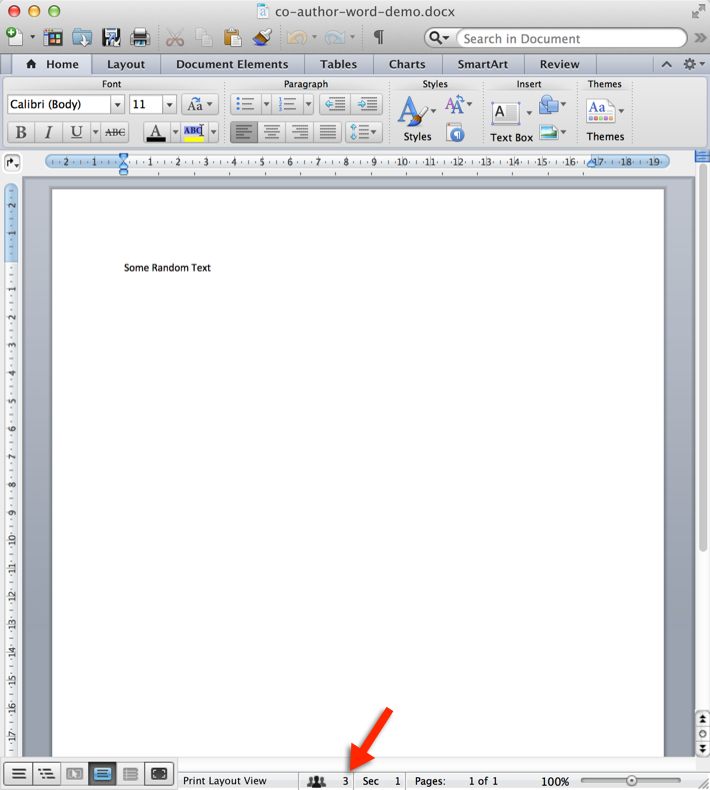 For fun, I decided to open the same document from my Mac with Office for Mac 2011 installed. Now I am impressed, it works with people on the Mac as well! Great, but how does the editing actually work? Let’s start making some modifications. I logged in as Brad Pitt (if only it was that simple hehe) and added a new line of text. Meanwhile, on my first computer, I could see that someone locked that paragraph and I could not edit it. However I could start working on another paragraph. It seems that for word, anyone can be working on 1 paragraph at a time. Here is what it looked like on the other side. As you can see, until I save my changes nothing will show up to the others. After clicking on Save, we can see the changes others have made and saved very easily as they are highlighted in green. As for PowerPoint, I did very similar steps. Uploaded a simple PowerPoint presentation and opened it from the first computer. 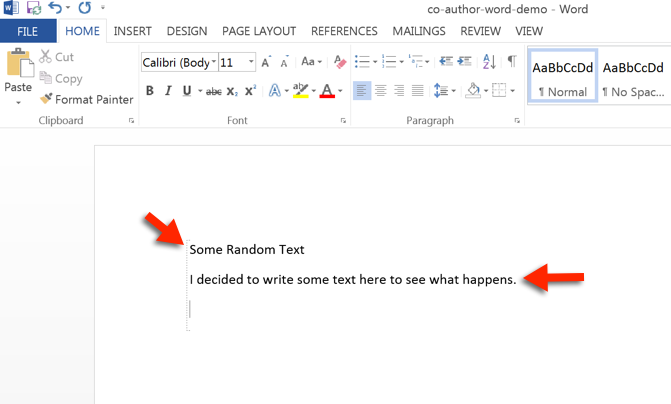 If I open the same document from another computer, I get the same experience I did with Word. 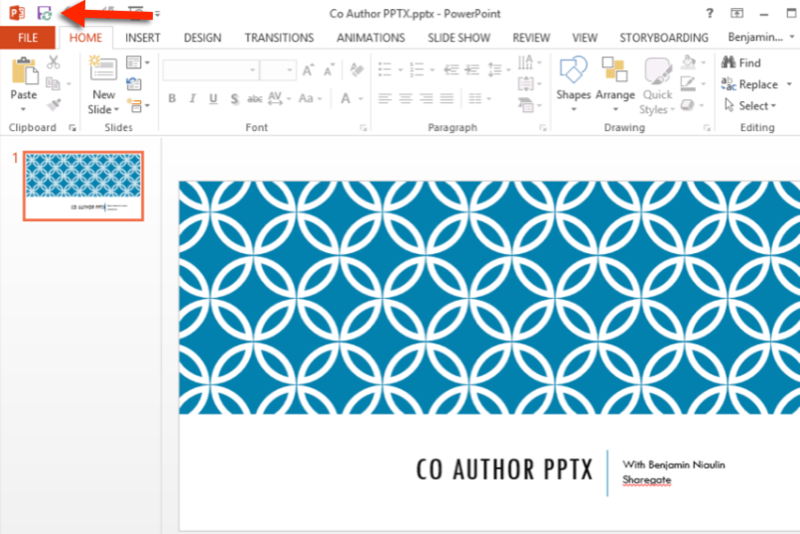 Unlike Co-Authoring Word documents, with PowerPoint no one is “locking” anything. You can make as many changes as you want and when you click on Save they are available for others to see. And yes, it still works with Office for Mac 2011. Good news, it works very well with both Mac and PC. 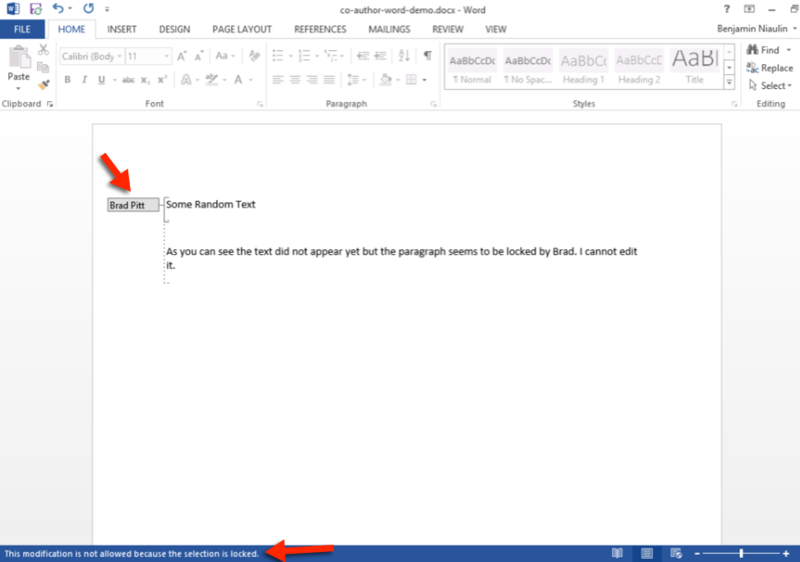 When working on Word documents, each editor “locks” a paragraph in the document while he or she is working. Others do not see any of the modifications until they are Saved from the source of the changes. To see the new available changes, we must click on Save. As we noticed, the Save button has turned into a “Synchronization” button rather than the traditional Save we have gotten used to. Remember that with versioning enabled, this is a good way to create a lot of versions and thus wasting a lot of SharePoint disk space. As we saw earlier in the chart provided by Microsoft, the Excel client application does not support Co-Authoring, only through the Web App can we do this. There is a difference between Excel Web App and Excel Services. And this is very important to understand. Microsoft has a very detailed post that does a comparison between Excel Web App and Excel Services which I recommend you view before starting to Co-Author. If you are using Excel Web App, you can use the Workbook Co-Authoring features. Unlike the others we looked at above, Excel Web App gives the end user a much more “Real Time” approach to Co-Authoring. Each editor “locks” a cell when he or she is working in it. I shouldn’t even say “lock” because it refreshes it almost instantly for the others. If you have already been using OneNote for a while, you won’t see any big changes as far as Co-Authoring goes. It has always allowed multiple people to work on the same document and SharePoint is not even a requirement for that. 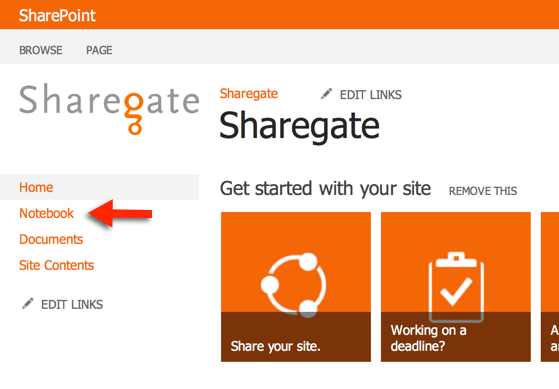 One change in SharePoint 2013 is that if you create a Team Site after adding Office Web Apps server to your farm, you will see a new link. 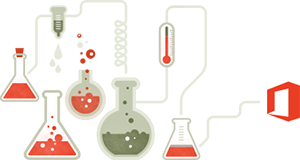 In short, a Notebook is created in a Document Library that automatically uses the same permissions as your Team Site. OneNote offers live Co-Authoring of Notebooks and is backward compatible with OneNote 2007, though I haven’t tested it yet. This is a big change, again not to be confused with Visio Services that has been available even in SharePoint 2010. If you migrate to SharePoint 2013 you will now be able to have multiple users work on the same Visio document at the same time. Each editor will have one object locked to themselves while others can see and refresh single objects. Need I not remind you that combining this with the Visio Viewer or Visio Services can provide you with some serious benefits. 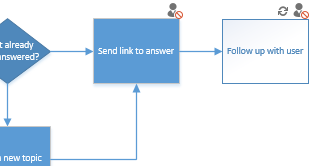 Think of it this way, an interactive flowchart with each team member actively updating their part through Co-Authoring and this same file on display as a Viewer on the Team Site. People that do not have Visio installed can use this viewer to see comments and reply to them. 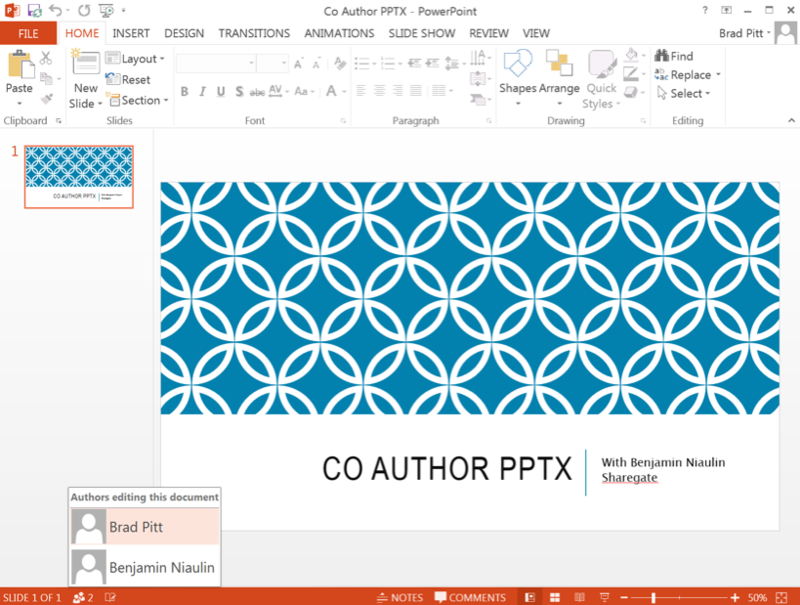 Co-Authoring is an amazing feature and with Office 365 you get the whole package which includes Lync the instant communication product. This means you can have teams working on the same document and communicating without ever sending a single email. 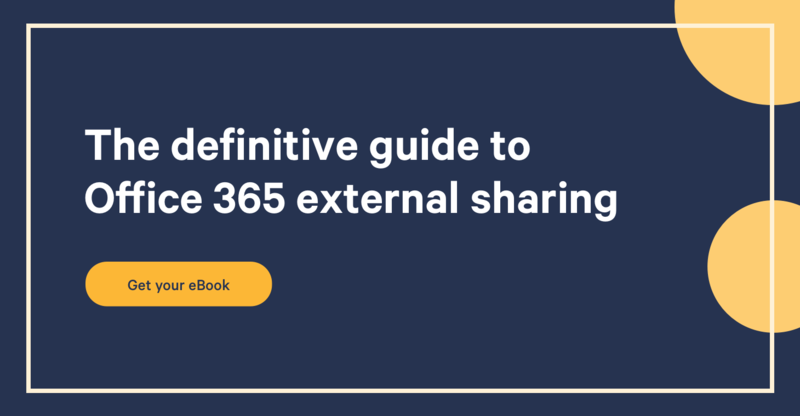 If you plan on migrating to SharePoint Online or Office 365 that’s definitely a big plus. You saw a quick overview of the user experience, they don’t all offer instant or live co-authoring but for a business solution connected with all the other features SharePoint has to offer, it’s pretty neat.